I LOVE Autumn. It’s the time of year pumpkins make their welcome return to menus, and I love, love, LOVE pumpkin! It’s so emblematic of fall, Thanksgiving… and best of all, Hallowe’en! Pumpkin, real pumpkin, is so good for you, too. 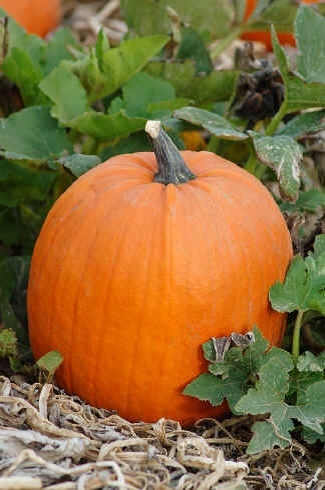 It’s full of vitamins, minerals, fibre, and antioxidants – did you know 1/2 a cup of pumpkin has 3.5 grams of fibre? Amazing! 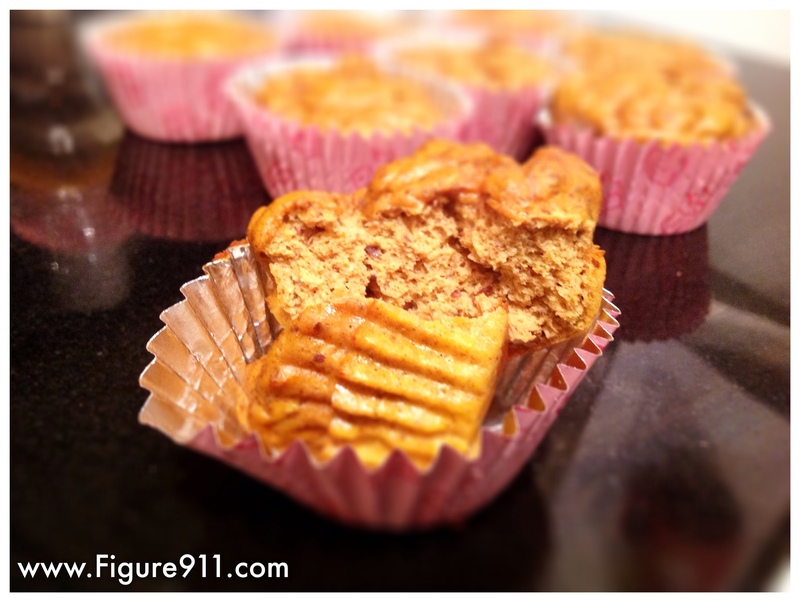 Starting with Pumpkin Protein Muffins, I will attempt to make a pumpkin-based food dish – either snack or meal – over the next few weeks, and post them here. Remember, my recipes are EASY, with accessible ingredients. 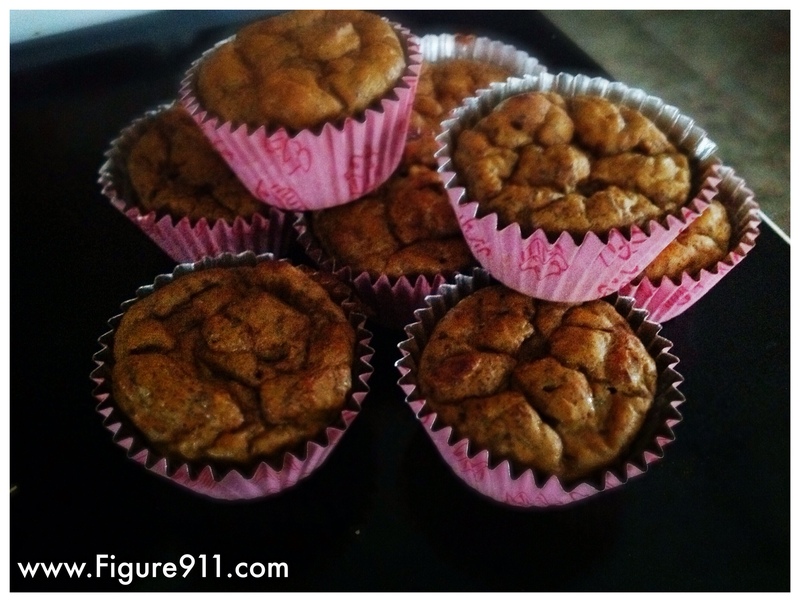 These muffins took me about 30 minutes to make – start to finish! If you have any to share, please comment or email me and I’ll give them a test run and post those too! 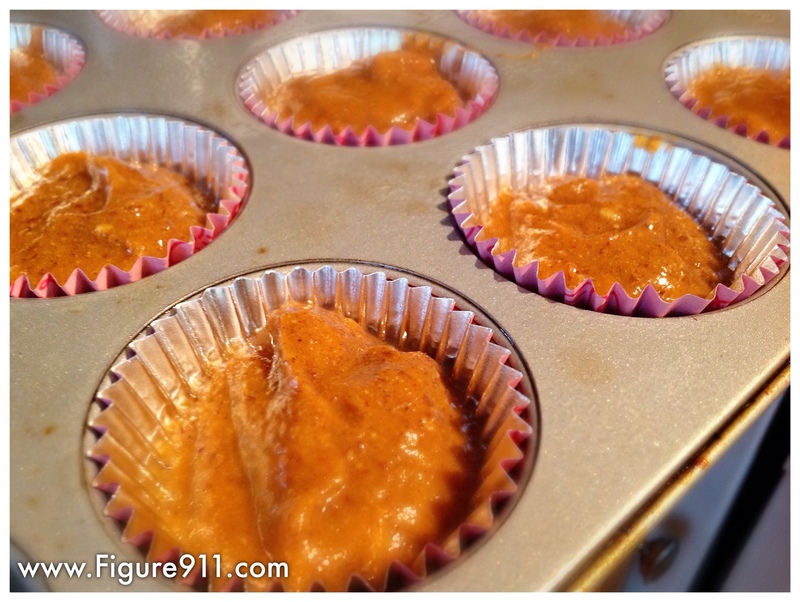 1 cup canned pumpkin puree – not pumpkin pie filling, which is full of sugar! 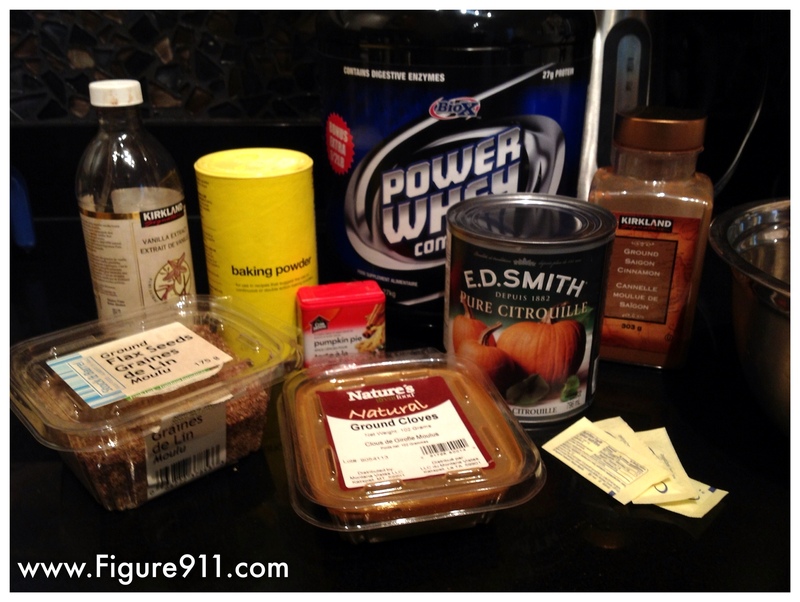 Optional: I added 1/4 cup crumbled walnuts – adds good fats to the recipe! Place on middle rack in the oven and cook for 20 minutes. Check at 15 minutes. The muffins are pretty moist and each oven is different. Hmm… Yeah, I guess you could. Butternut squash is sweeter, so reduce the sugar substitute. The flavour will be different – let us know how it turns out! I forgot to mention, for a few extra calories (minimal, and it’s good fats) add crushed walnuts.